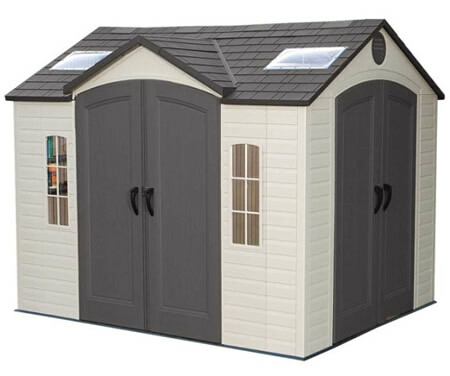 This took me and my 13 year old son a weekend to put togethe ..
Our Lifetime 10x8 plastic shed 60001 includes double doors, flooring, 3 windows, 5 shelves, 2 peg strips w/ hooks, 2 vents and 6 skylights! 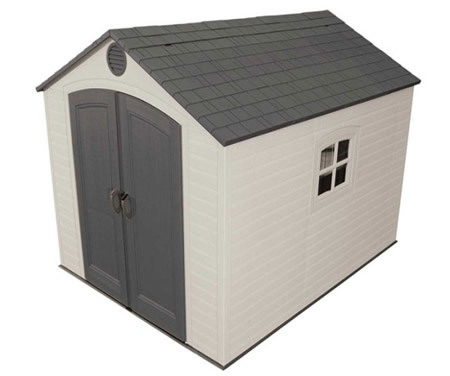 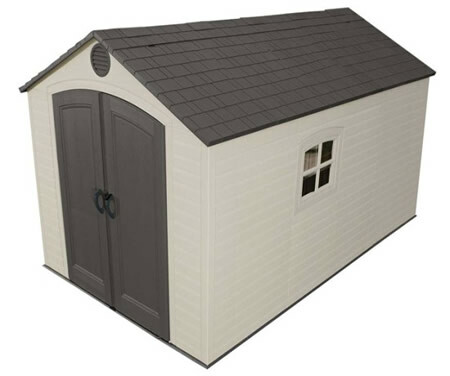 The Lifetime 60001 backyard storage shed is a stylish storage solution. 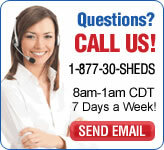 It never needs painting and it comes with shelving and peg strips so you can get organized right away! 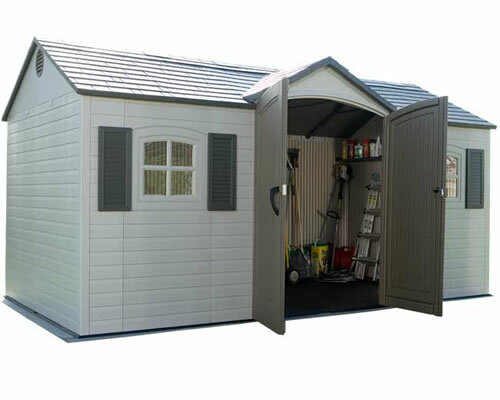 This attractive Lifetime plastic storage shed keeps your garden equipment organized and handy. 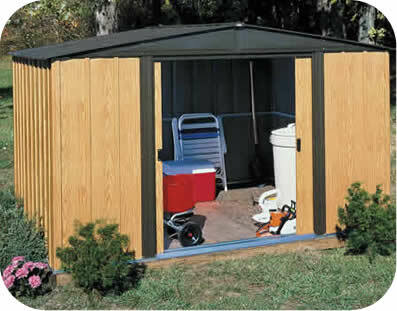 Constructed from UV-protected high-density polyethylene (HDPE) plastic with powder-coated steel reinforcements, this Lifetime backyard storage shed is built to weather the storms. 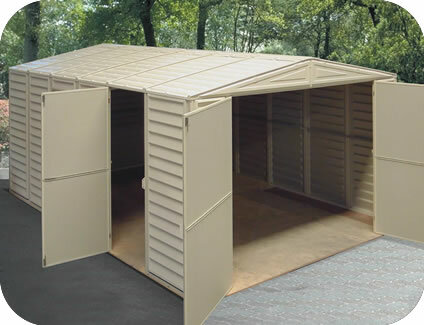 It requires very low maintenance, designed with a high-impact polyethylene plastic floor that is resistant to stains and solvents, and an exterior surface that can simply be sprayed down with a garden hose for easy cleaning. 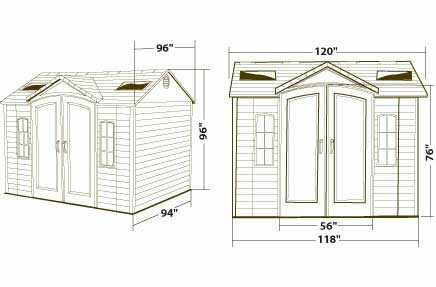 Warranty: 10 yr. Limited Warranty!